Most of us consider fruit to be healthy – something that we can enjoy without restraint. 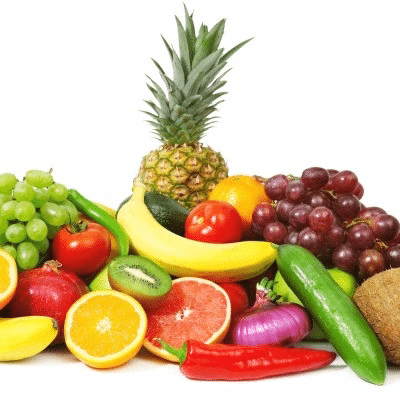 While fresh fruit does contain essential vitamins, minerals and fiber, the market place has been flooded with “fruit products” that are sabotaging your fat loss results. Fresh fruit juice can be wonderful and it is usually much easier to get your kid to drink juice instead of soda. It has great flavor, great color, and good amounts of important vitamins and minerals. At least it does when it is actually fruit juice. Unfortunately, many drinks labeled as fruit juice, especially the ones targeting kids, contain a very low amount of actual fruit juice. For these hardly-fruit fruit juices, sugar and water make up the bulk of the contents, robbing you and your little ones of the important benefits of all-natural fruit juice and leaving you primed and ready to fill your fat cells. Now, now… don’t get all up in arms. Smoothies have long been considered a healthy treat, but this is often a misconception. It’s not that all fruit smoothies are unhealthy. In fact, a smoothie can give you a big boost of vitamins and minerals that help you feel energetic and ready to face the day. However, it’s very easy to add more sugar than is found in many desserts, losing all the healthy benefits and putting you at risk for fat storage. Eating bowl after bowl of fruity cereals that leave your milk pink and orange is not a good idea for kids trying to watch their weight. If your household is hooked on cereals that claim to have some semblance of fruit, while being filled with added sugars and calories, it’s time for a change. Yes, these cereals may taste good, but sugar-laden breakfast cereals are ruining your fitness results—even if they supposedly have real fruit flavors. Wean yourself from the fruity cereals by chopping some real fruit into a bowl of healthy, sugar-free, whole grain cereal. Call or email today to get started on a fitness program that will have you seeing results before this year’s end.